Enza 07579 - Ladies Vintage Triblend Football Tee is made of 50% polyester / 37% cotton / 13% rayon. 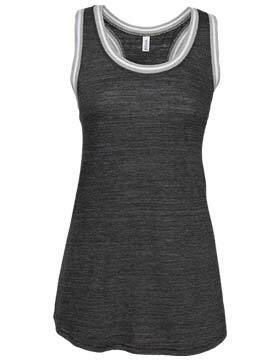 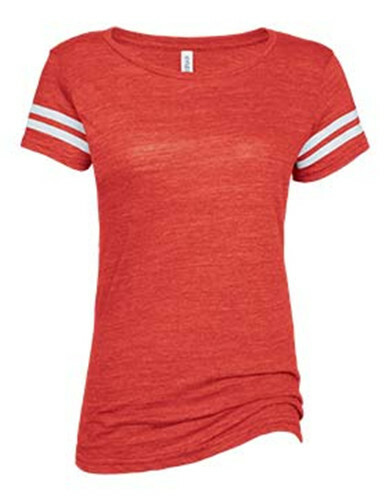 It's triblend heather jersey. 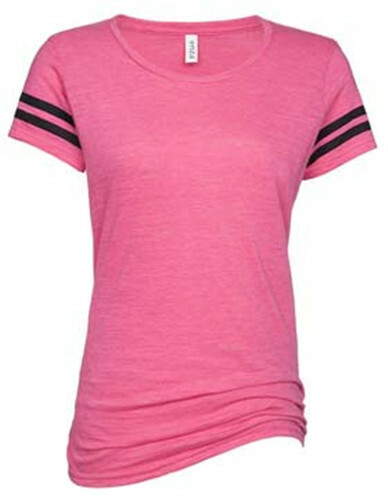 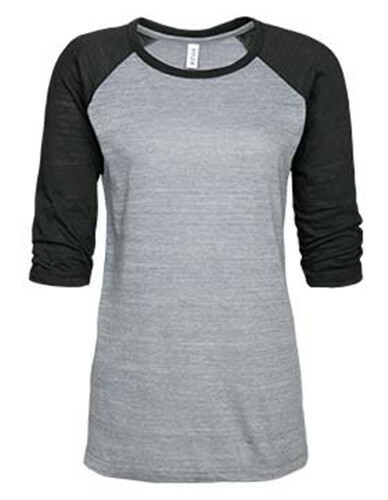 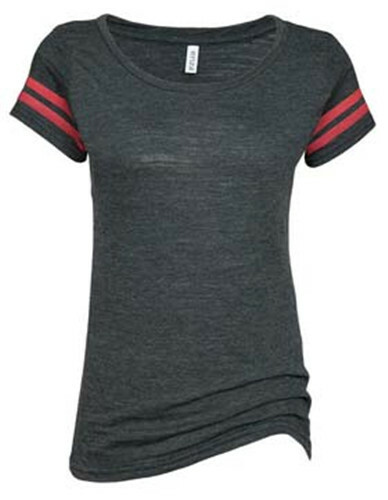 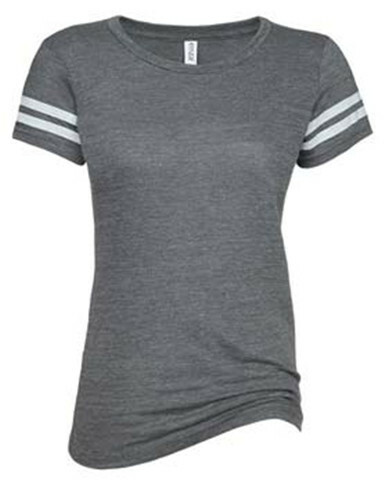 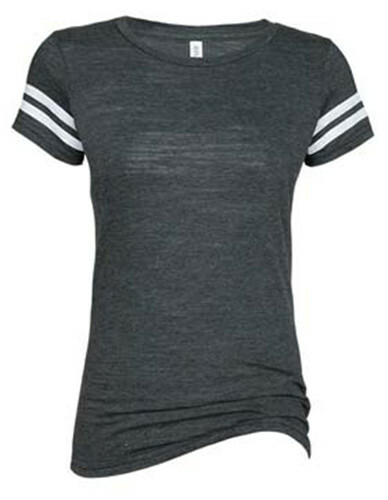 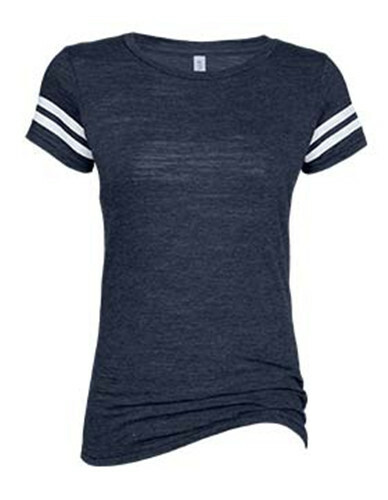 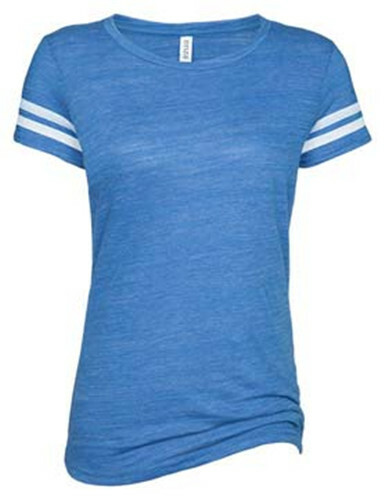 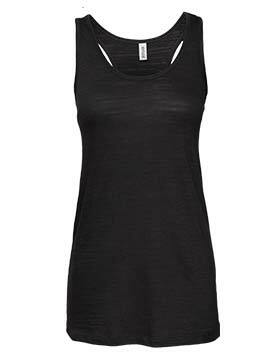 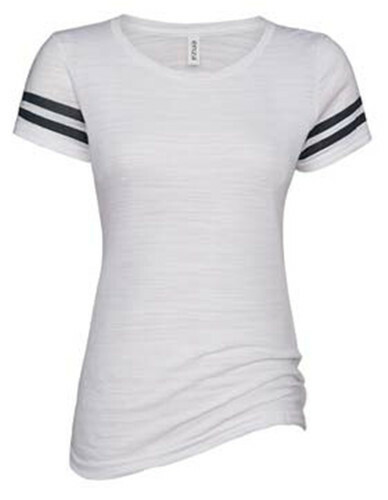 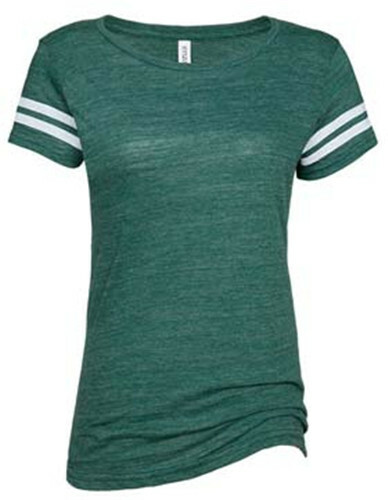 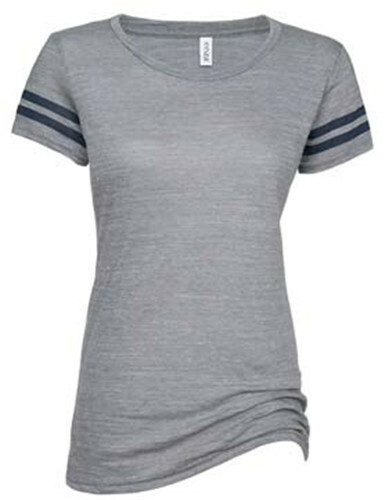 Two contrasting sport stripes on sleeves make this tee stylish. 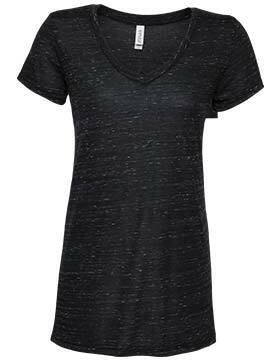 It's piece dyed. 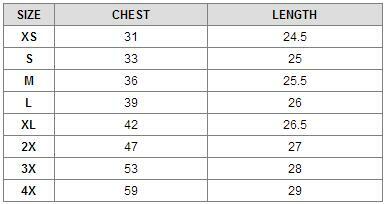 Longer length is easy to match most of your pants. 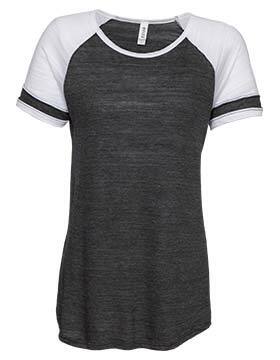 Traditional silhouette makes this tee durable. Tear away label is convenient for you to do any activities.